In the past, I’ve written a lot about working out with your spouse and how beneficial it can be to your bodies and your marriage. 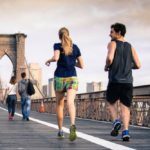 Whether you head to the gym, go for walks, or even take dance classes together, this is invaluable time you spend trying to be healthy as a couple. 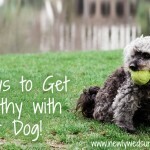 More recently, I wrote about what you should do if your spouse doesn’t want to get healthy, and I’ll be honest, this is something my husband tries to help me with. 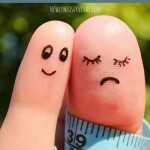 I struggle with motivation and constantly look for new reasons to get myself moving. Lately, I’ve discovered something that helps me, I created something that helps me and I’m going to tell you all about both of them! As I’ve told you before, my husband is a certified personal trainer. 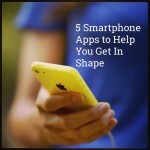 He knows a lot about working out, nutrition and how both effect your body. After every workout, he drinks a protein shake. I’ve never been too enthused about these shakes because they seem to have this weird taste to them and they don’t really tell you exactly what is in them. If I’m going to drink a shake, it is most likely going to involve ice cream and tons of guilt. Anybody else with me? Why does he drink a protein shake after a workout? Ideally, your body needs 30g of protein to replenish and start rebuilding muscle after a workout. He has tried all different types of protein shakes and most do not give you this ideal amount. Recently, he found out that EAS® 100% Whey Protein has improved their formula and now has 30g of protein! He had to try it out, and I reluctantly went along with it (even though there wasn’t any ice cream involved). I checked out their site and found that the new formula has no added sugar, no fillers, and EAS® shows right on the label exactly what (and how much) goes into making this new formula. This made me happy and when I tried the shake I was sold. It doesn’t have the weird taste I dislike in other protein shakes. It tastes good… really good. I wanted to drink the whole shake right then and there but I hadn’t done a workout with my husband so it would have been wasted on me. New motivation for me? 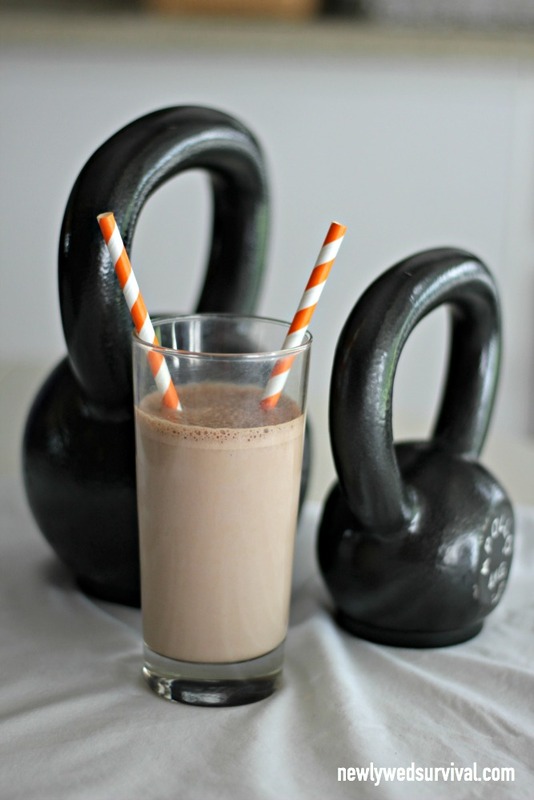 I can have one of these shakes if I just do a workout. As far as my husband is concerned, he is thrilled that he is getting the ideal amount of protein and no fillers. 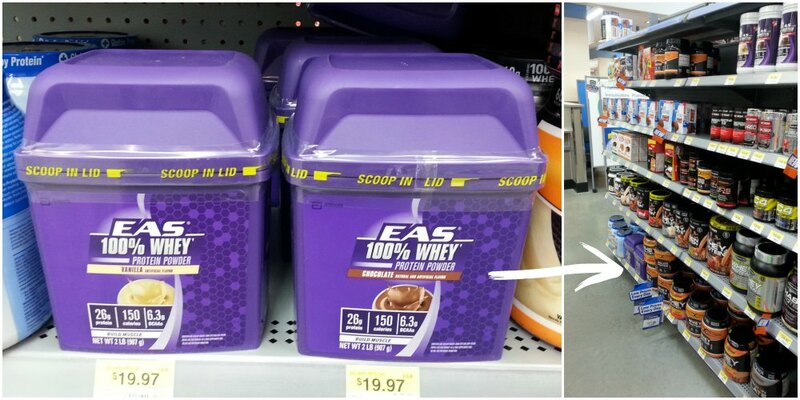 We were really happy to see that it was easy to find EAS® 100% Whey Protein at our Walmart. It was located in the Health & Wellness section. You can also purchase it online and have it delivered right to your door! The saver in me is thrilled that Ibotta has a $3 rebate offer right now. You know how I like to save! Not a member of Ibotta yet? Sign up here. The new improved formula EAS® 100% Whey Protein is the thing I discovered that will help me with motivation (and recovery). Now for the thing I created. I made us matching t-shirts. Sounds kind of corny, but we both love the way they turned out. I wanted to put something on the shirts that can help me remember a reason I should be exercising. Like I said earlier, working out as a couple is good for your marriage as well as your bodies. 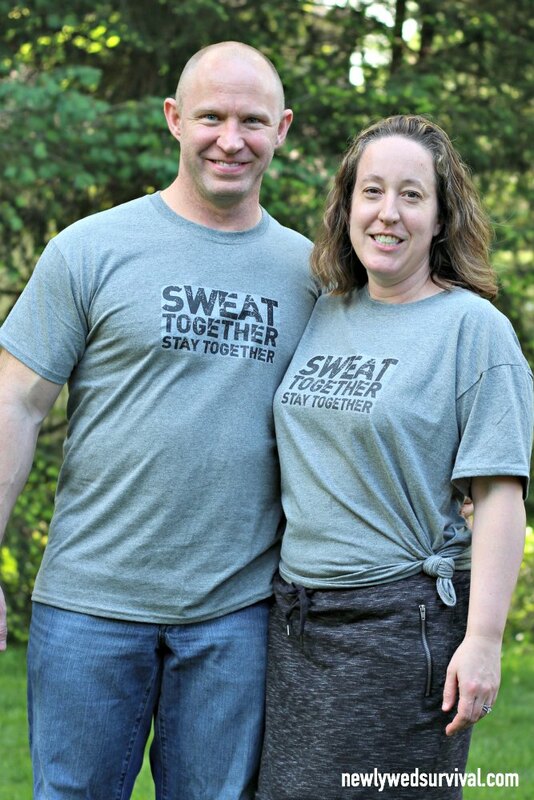 So, I decided to put “The couple that sweats together, stays together” on the shirts. 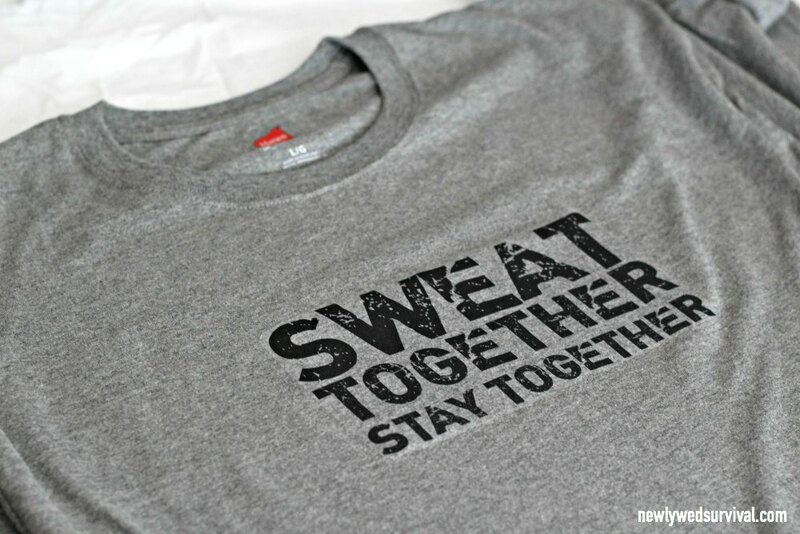 That was a bit long so I shortened it down to “Sweat together, stay together”. 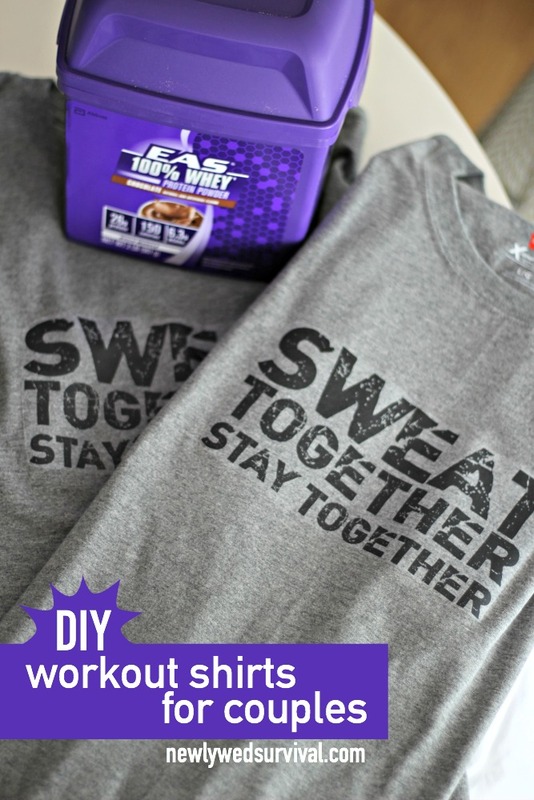 Step 1: Print out this “Sweat together stay together” printable on the iron on transfer paper. Note: the words are supposed to be backwards. Step 2: Cut around the design out. Note: cut as close to the words as possible. I didn’t, and you can see the transfer around the words in the final product. 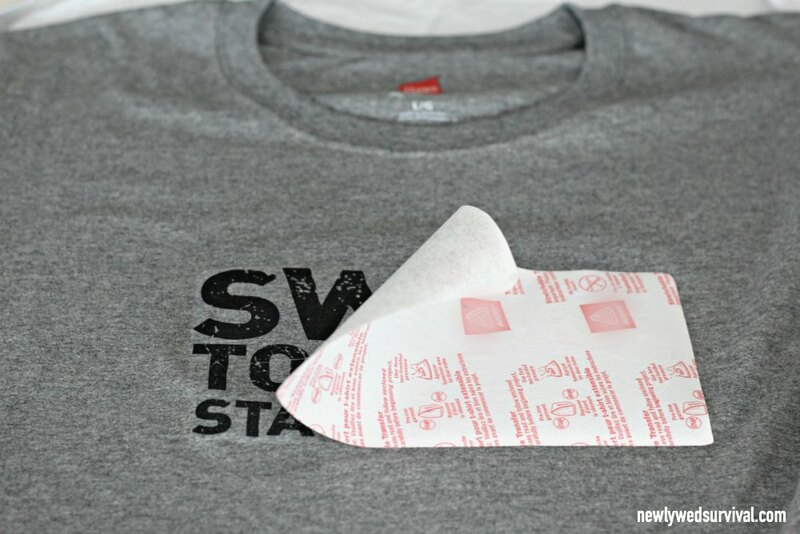 Step 3: Put your t-shirt on top of a pillowcase and make sure that both have no wrinkles (iron if needed). 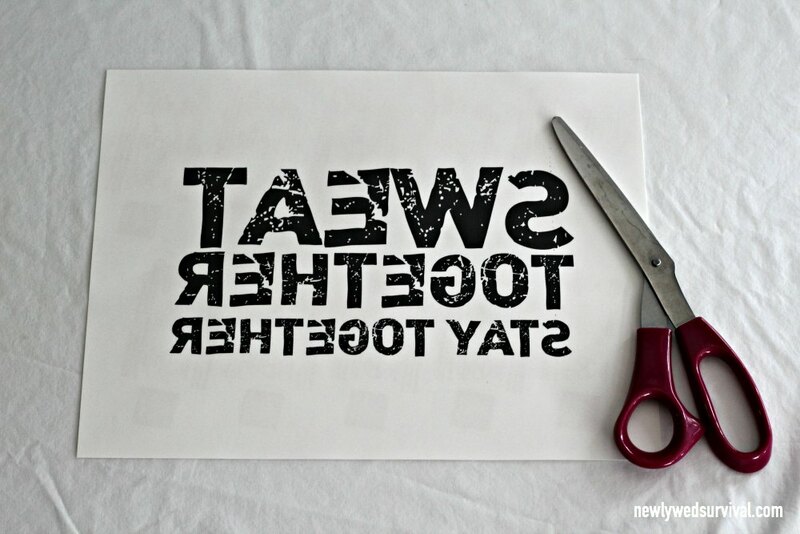 Place the words you cut out where you want them to show on the shirt. Make sure the back of the paper is facing you. 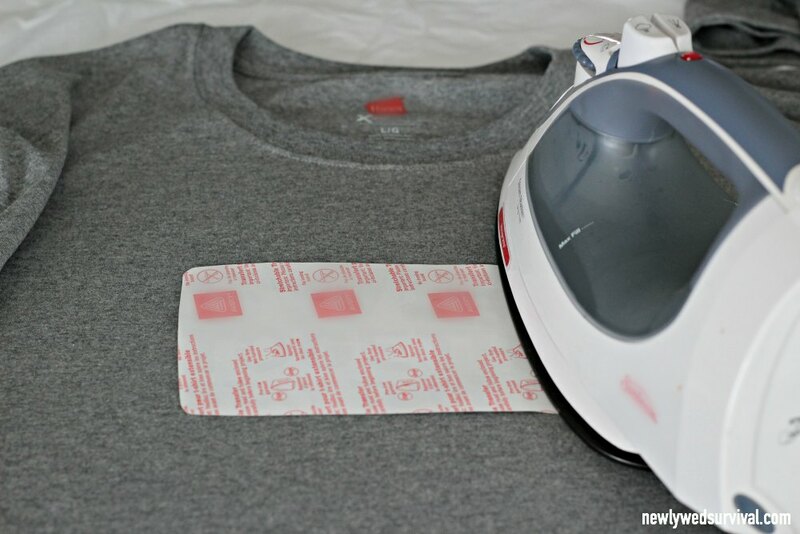 Iron following the directions on the transfer paper you purchased. Step 4: After it has cooled for a few minutes you can carefully peel the backing away. Step 5: Turn the shirt inside out and wash before wearing. Here we are wearing our new shirts. Don’t they look awesome? I purchased the same size as my husband because I have plans for this shirt. 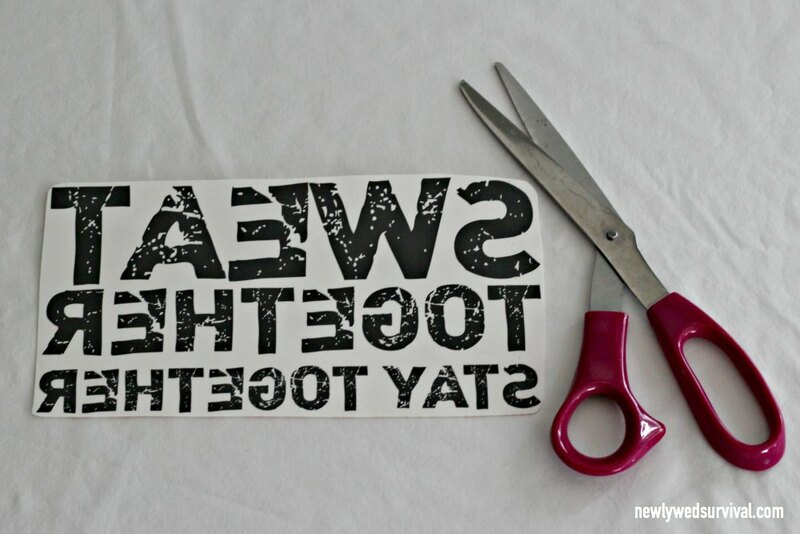 In another post, I will show you how to easily alter a t-shirt to make it more fitted and there is no sewing involved! You know that easy DIY is how I roll, right? With my two new motivators, EAS 100% Whey Protein and my snazzy new shirt, I am inspired to get back on track! For more inspiration, I am checking out this #PowerInProtein page. What motivates you to workout? How do you recover afterwards? I’d love to hear about it. Why not leave a comment below?